Looking for the best insider information about Clarens? Looking for the best insider information about Clarens? Looking for the best insider information about Clarens? The locals know best, no matter where you go on holiday, and Clarens is no exception to this rule. Clarens is known as the Jewel of the Free State, and the many facets of this jewel definitely deserve mention if you’re planning a weekend getaway. If you’ve got more time, stretch your break in Clarens so that you immerse yourself in all that makes this village truly unique. Although Clarens is still very much a village, it has become a sought after holiday destination for international and local visitors. Many visitors who travel the short distance from Johannesburg, Durban and Bloemfontein make it a rule to get to Clarens as often as possible,to breathe in the fresh air and soak up the beauty of the valley. The picturesque village, along with the stunning beauty born of the position it holds in the foothills of the Maluti Mountains, with the Red Mountains forming part of the valley, creates a magic hard to replicate anywhere else in South Africa. Mother Nature, in all her glory, is on vibrant display through the seasons, making Clarens the perfect place to holiday throughout the year, which is all part of the magnetism that draws visitors year after year. Despite this, Clarens is still a village completely at peace and in sync with its natural surroundings. This is no busy, noisy metropolis, but it has everything you need for an unforgettable weekend break. If you’ve booked your accommodation at Clarens Eddies B&B and Self-catering, you’re in for a treat in terms of laying your hands on all the inside information you need to get the best out of your stay. Let’s start with the hospitality you can look forward to during your stay at Clarens Eddies. This is a team that’s won consecutive certificates of service excellence since 2014 from both an international and local booking website, which should give you a good idea of what’s in store for you in terms of service. Living in paradise has made the team at Clarens Eddies as warm and hospitable as you would expect, from the first welcome as you arrive, to making sure you have everything you need to make your stay utterly comfortable. You can expect service 24 hours a day from a team passionate about your comfort, made possible by the fact that Clarens Eddies is just big enough to sleep a total of sixteen guests, but small enough to make the service personalised. Once you’ve unpacked and are ready for a look-see, Dawn Trevelyan and her staff will give you the low-down on everything you need to know about what to do in Clarens. Dawn and her staff know where you’ll find the best food in town, and they’ll make sure they know what you’re looking for before they make their recommendations. Bookings for breakfast, lunch and supper in any of the many restaurants in Clarens will be made for you, with pleasure. If you’d like to know about hiking in Clarens, Dawn knows them all like the back of her hand! Let her know whether you want to take an easy stroll or work up a bit of a sweat.Either way, she’ll send you off in the right direction for an unforgettable hike. As for the over thirty activities to do in Clarens, well. You’ll need some honest, down-to-earth inside information here to make sure you get out there and try your hand at the best of these activities to suit your ideas of fun. Book your accommodation at Clarens Eddies today for the best of everything you could hope for on a weekend getaway, including great specials that make prolonging your stay even more affordable than usual. 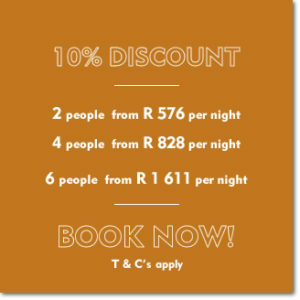 We provide the best Clarens Accommodation Specials in Clarens, South Africa. Clarens Eddies Accommodation received the CERTIFICATES OF EXCELLENCE AWARDS from two leading national and international booking websites - TRIPADVISOR and BOOKING.COM. These awards are based on guests reviewing their stay at CLARENS EDDIES SELF-CATERING or B&B. It is said that Clarens is one of the most beautiful and terrain rich areas in South Africa for the biking enthusiast. 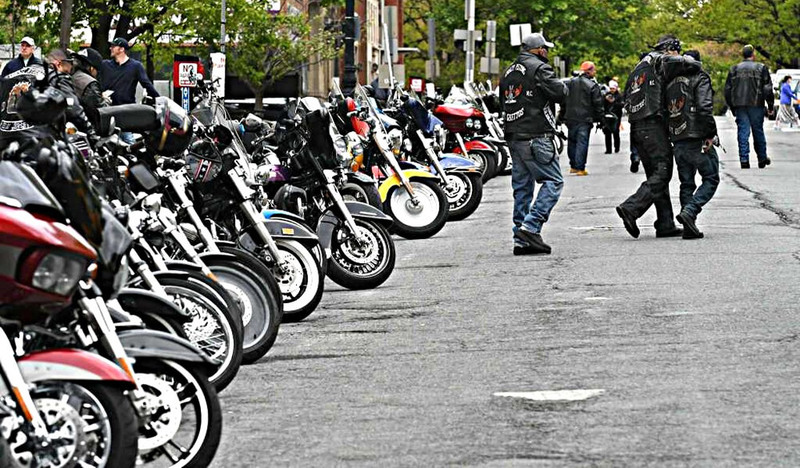 Clarens is a favourite motorcyclists’ haunt! 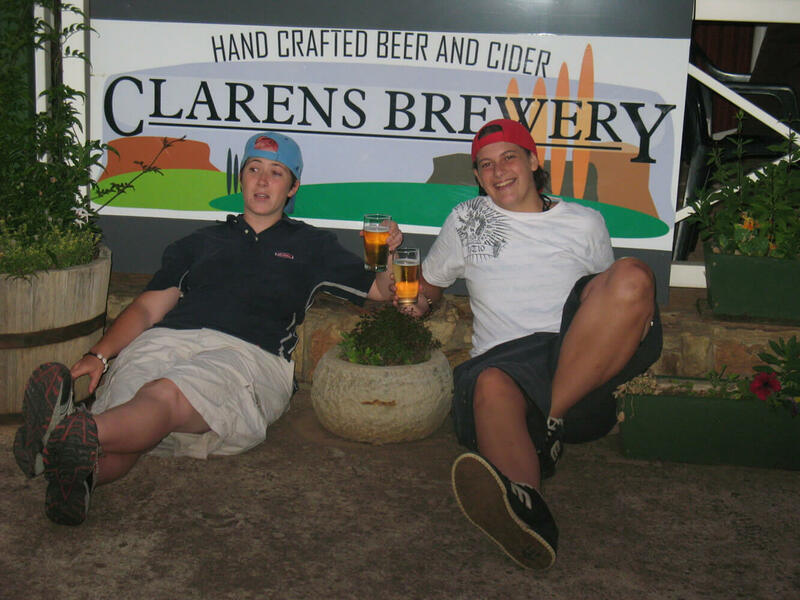 Clarens Brewery is one of the country’s first Brew-Pub, Cidery and Distillery set in the foot-hills of the magnificent Maluti Mountains. Annually in February South Africa’s most loved craft beer festival returns to Clarens!! Accommodation at Clarens Eddies has been built to suit diverse needs and requirements. From single rooms, double rooms, wifi access, entertainment facilities to clean linen, Clarens Eddies is equipped to host any kind of visitor. Testimonials can be viewed here. 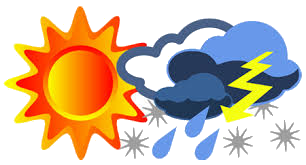 Contact Clarens Eddies Self Catering / Bed and Breakfast Today!